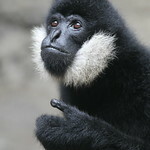 Although gibbons are apes, they are known as lesser, or small, apes. They can reach 18–25 inches in height and weigh up to 12.5 pounds. They have extremely long arms and legs. 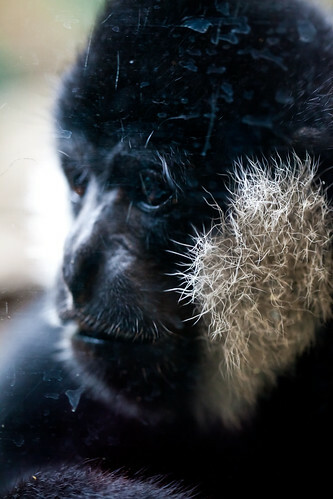 Gibbons are unique in that infants are born with blonde fur like their mother, but by age 2 their color turns to black. When they reach adulthood, males remain black and females change back to blonde. Laos, Vietnam, Hainan, southeastern China and eastern Cambodia. 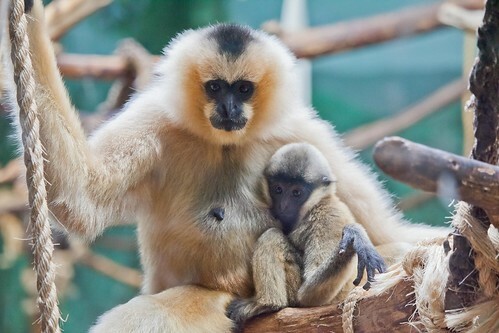 This species of gibbons is considered to be critically endangered, as wild populations have declined by at least 80 percent over the past 45 years due primarily to habitat loss and hunting. 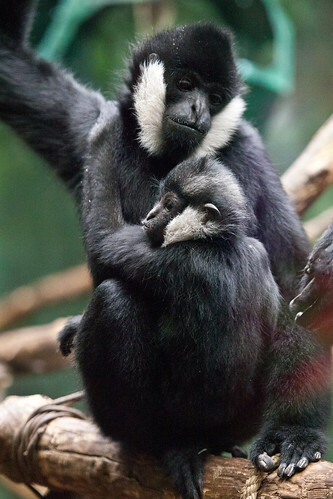 Lincoln Park Zoo participates in the Gibbon Species Survival Plan®, a shared conservation effort by zoos throughout the Association of Zoos and Aquariums. 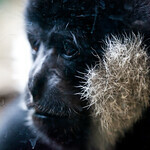 The zoo also financially contributes to gibbon field-conservation efforts to support the longevity of this species. High canopy of tropical rain forests. White-cheeked gibbons are frugivorous and spend most of their time in the forest canopy searching for fruit. 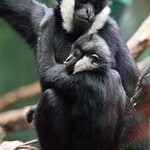 Leaves are another important food item for gibbons as well as flowers, leaf buds and shoots, and insects. A single offspring is born about every two–three years after a seven-month gestation period. Infants are weaned after age 2, and sexual maturity is reached by about 6 years of age. Young males will typically leave their family group after eight years. 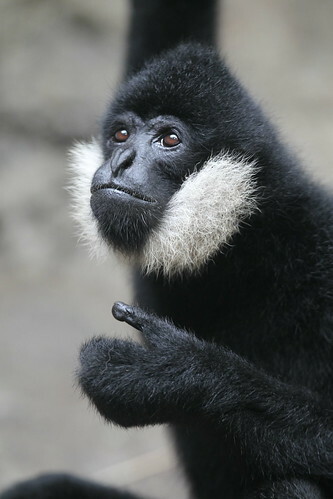 Gibbons are adapted for an arboreal lifestyle and use a highly specialized mode of locomotion called brachiation. Instead of grasping, their hands form a loose hook around branches, enabling them to swing through the trees using a hand-over-hand motion. 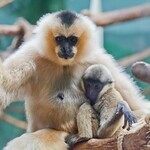 Gibbons live in small family groups made up of a mated pair and their young offspring. Every morning, the male and female will perform a ritualized vocal duet to advertise their territory to other gibbon groups.